Using the Kepler space telescope and data from NASA, Columbia researchers may have stumbled upon the first exomoon discovered. 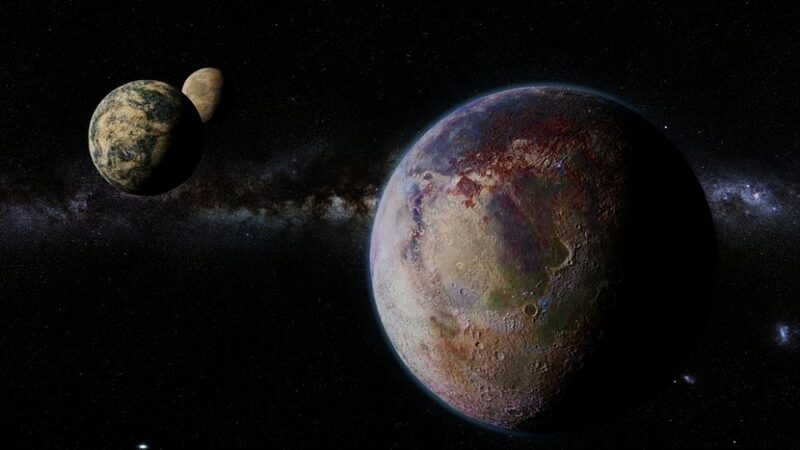 After many exoplanets, the Kepler telescope has discovered what scientists believe to be the first moon ever detected outside our solar system. The Kepler telescope has already enabled scientists to detect and classify thousands of exoplanets well beyond our solar system, with many Earth-like habitable candidates. How likely is it that these exoplanets have moons orbiting them, the way Earth and its satellite, and other planets in the vicinity, form a balanced system? The Kepler telescope may have provided the answer. When looking for exoplanets, scientists monitor the “planetary transit” and look for the brightness and occultation of the associated star. As a planet passes in front its star, it will deflect a part of the starlight with respect to the observation point. When a massive body (planet) passes a distant star of the celestial vault, it affects the path of light. This results in a very characteristic light deformation, or what’s called the gravitational lens effect, which indicates the presence of an exoplanet. In some cases, when there’s a small additional disturbance, a gravitational microlensing effect, that suggests the presence of another celestial body, like a moon orbiting an exoplanet. This is, from our perspective, an exomoon. Based on this method, Kepler manages to identify new exoplanets regularly. But the mission is even more complicated with exomoons. The rarity of the phenomenon, exoplanets with exomoons, makes the task harder. For Kepler to detect the deviations of light and determine the possible presence of moon-like celestial bodies, scientists have to wait for a perfect alignment between the star, the exoplanet, and in this case, its exomoon. Using the same methodology, Kepler carries on the celestial quest to find whether some of these exoplanets have moons orbiting them. The Hunt for Exomoons with Kepler (HEK), is an astronomy project at the Columbia University. Using data collected by NASA’s space telescope Kepler, astronomers are searching for exomoons. If the findings of a new study, published on Arxiv, were to be confirmed, a possible extrasolar moon may have just been spotted in interstellar space. As a part of the HEK project, a team of astronomers from Columbia University led by David Kipping think they have discovered the signal of an exomoon, after the Kepler telescope detected dips in starlight during three transits. Named Kepler-1625b I, the first exomoon candidate is the size and mass of Neptune, orbiting a planet the size of Jupiter in the Kepler-1625 system, some 4000 light-years away from earth. Professor David Kipping, who said he dedicated most of his adult life searching for exomoons, is still cautious. Next October, the team will conduct follow-up observations, this time using the Hubble Space telescope, to confirm their findings. How excited are you that we continue to discover more solar systems like our own?